It feels a touch bittersweet as my youngest pair start to grow up and leave all the baby things behind. Slowly but surely all these things are leaving our house but something I am not sorry to see the back of, at least for the summer months, is our mammoth double buggy. I know that come September I will probably have to dust it off again ready for the school run, if only to make sure we get there on time. For a few weeks though, we have freedom. 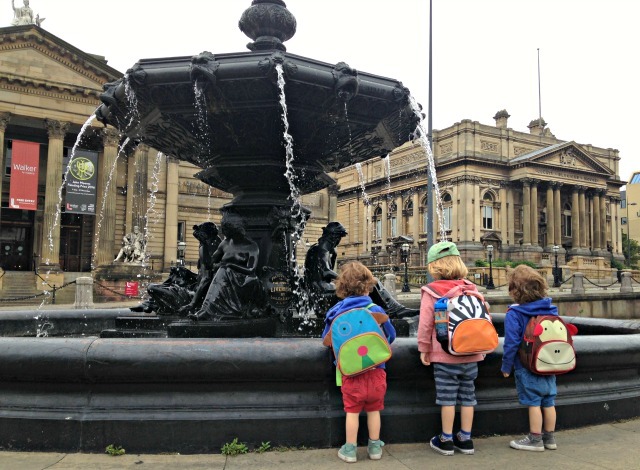 Earlier this week I took the boys into Liverpool, on the bus and train and it was a proper little adventure for them. 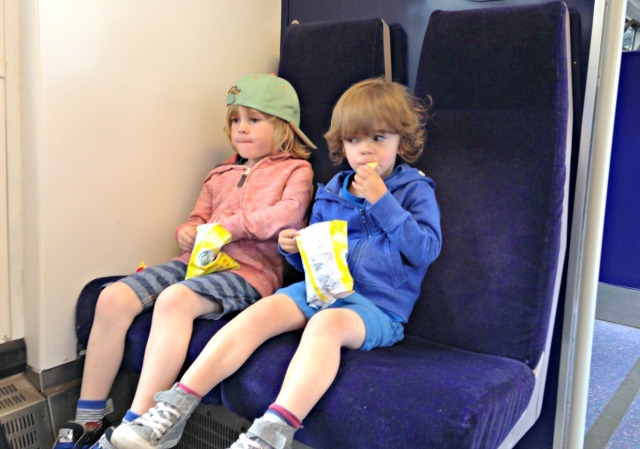 I think this was probably the twins first time on a train and they all had their own backpack filled with snacks and other random treasures that they felt were worthy. 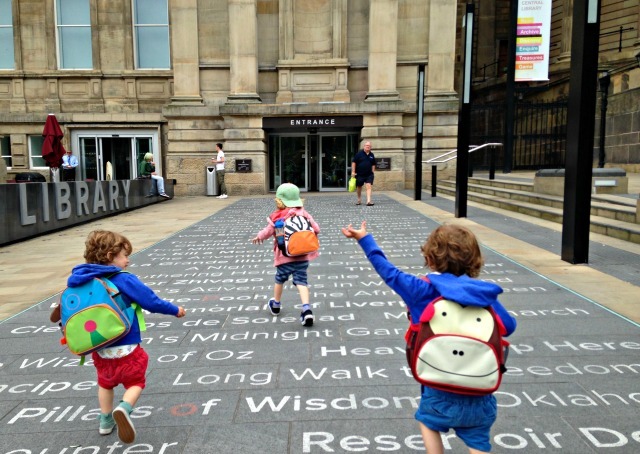 We met some family there and wandered over the visit the Walker Art Gallery, Central Library and the World Museum. All these are just over the road from the main train station so I knew we could have a good explore without having to walk the little legs too far. All the attractions are so child friendly, we often make a beeline for this stretch of buildings when we head into the city. 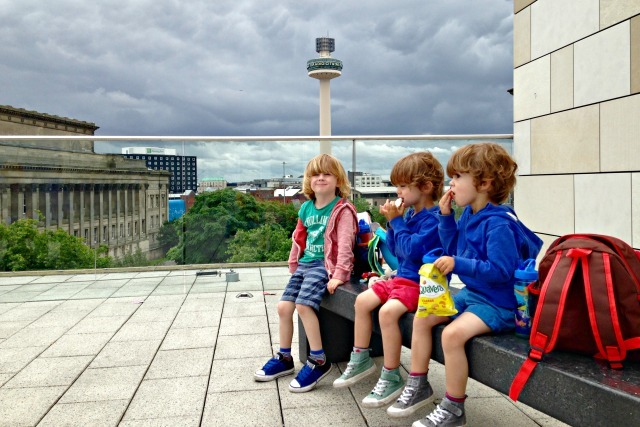 The Walker has a Big Art room especially for children, Central Library has an amazing children’s section and the best roof terrace which we love to go up to and look out over Liverpool. The World Museum is great for kids and we spent most of our time in the aquarium looking for Nemo and Dory. 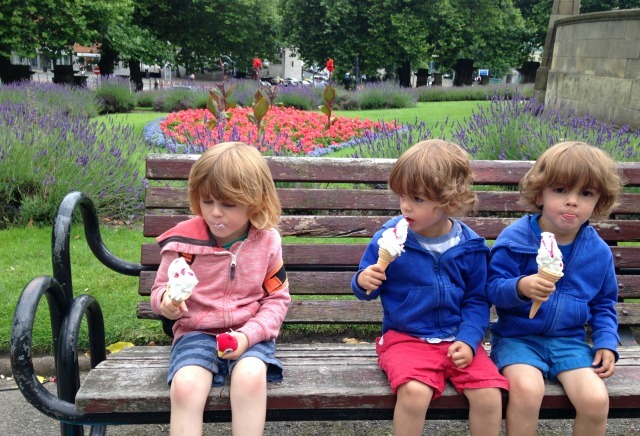 We even had time for a quick ice cream before the rain hit and we made our way back to the train station. I love that it is starting to feel easier to go out with them all – it’s taken me a while to feel confident having them all out and on the loose in an open space. I came across some old photos from this time last year when I went to the park with them all on my own. Even in the enclosed playground area it was pretty stressful as I tried to keep an eye on all of them. Being that touch older has made all the difference and they get more independent with every month that passes. The twins are so good at holding hands and staying close to me and Lucas is that bit older for me to trust. It’s a lovely feeling to go out with them all, to leave the buggy behind and to watch them having that bit more freedom. I can see how much they enjoy it, taking everything in and chattering all the way round. It was a perfect day trip to kick off the summer holidays. 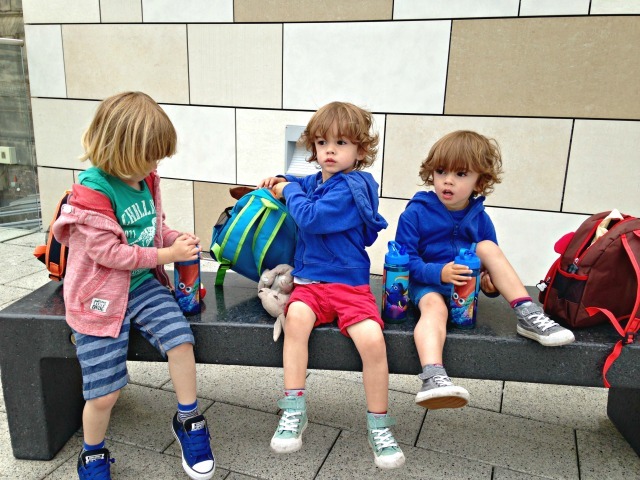 The backpacks were more trouble that they are worth honestly but the boys love it. Liverpool is just amazing for museums although I hope we can make it to Manchester too this year!